This flavorful puree is a great base for a variety of protein and vegetable combinations. I served it with wilted kale and pan seared flat-iron steak. Recipe adapted from Hugh Acheson's The Broad Fork. In a medium sauté pan over low heat, melt 1.5 tablespoons of the butter. Add the onion and then the kohlrabi. Cook for 2 minutes, stirring to coat the vegetables in the butter. Add the chicken stock and the thyme. Bring to a boil over medium-high heat, then reduce heat to medium and simmer for 15 minutes or until the kohlrabi is tender. Remove from heat and let cool slightly. Transfer the mixture to a blender, and the remaining 1.5 tablespoons of butter, and puree until smooth. 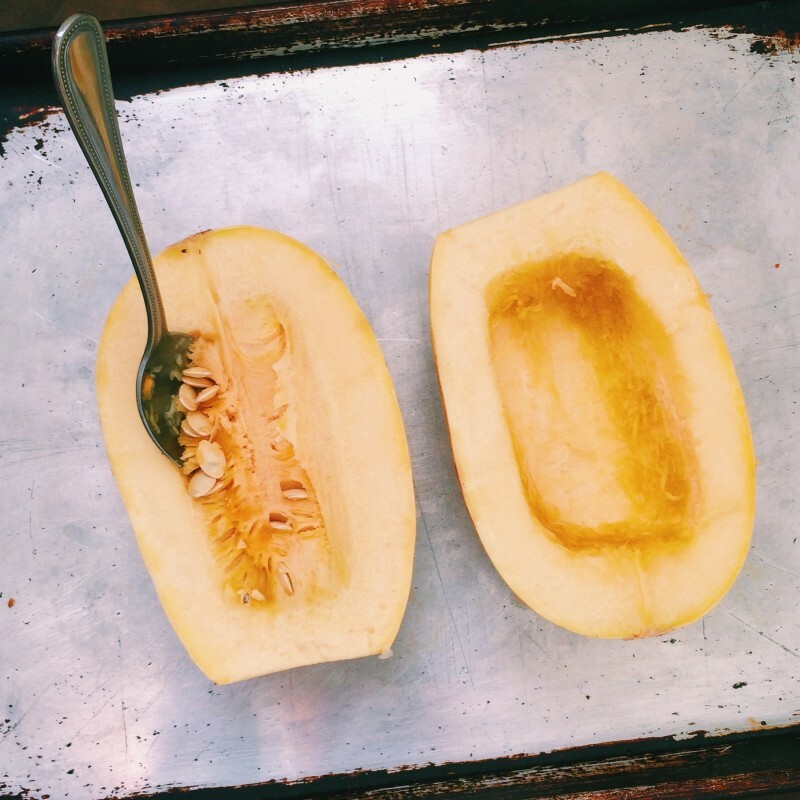 Season to taste with kosher salt. Serve warm. This quick and easy dish is a super flavorful light meal or a great accompaniment to a simple roast chicken. Serves 4 as a side, 2 as a meal. Place the bacon on a sheet pan and cook for 12-18 minutes or until crisp. Remove from pan and place on paper towels to drain. Crumble or chop bacon into 1/2 inch pieces. Set aside. Raise oven temp to 450 degrees. Cut cabbage in quarters and rinse well under cold water. Pat dry with paper towels or a clean dish towel. Place the cabbage on a sheet tray and drizzle with olive oil. Season to taste with salt and pepper. Place in the oven for 10-12 minutes or until the cabbage is soft and the outer leaves are slightly charred. While the cabbage is roasting, make the blue cheese dressing. Place the buttermilk, blue cheese, vinegar, and a pinch of salt and pepper in a blender. Pulse a few times until the mixture is largely smooth and only a few pieces of blue cheese remain visible. Remove the cabbage from the oven, drizzle with the blue cheese dressing and top with the crumbled bacon. Serve warm. 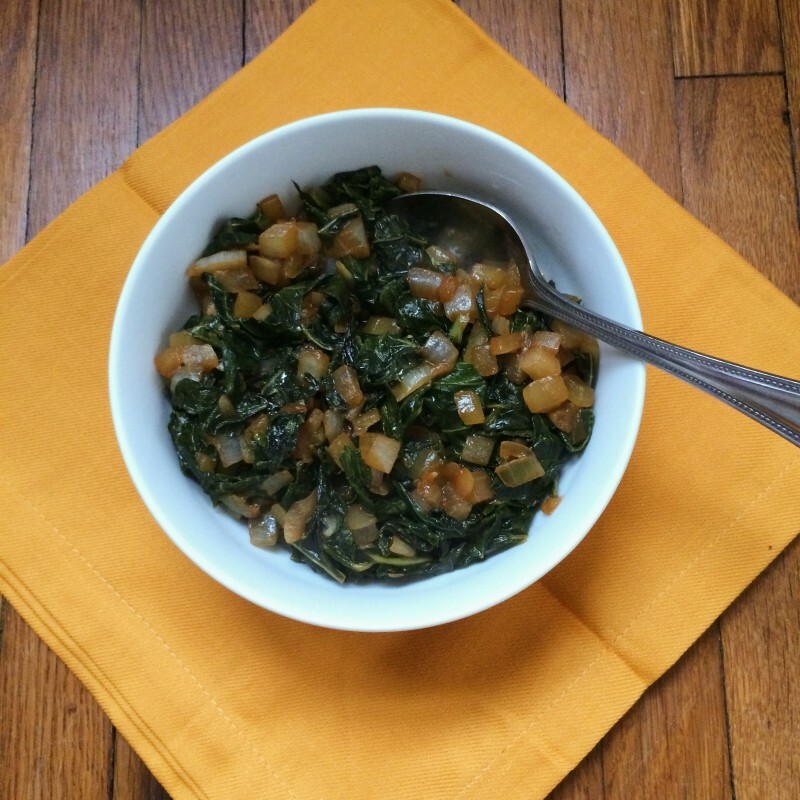 Often, when we think of collards in the South, the first image that comes to mind is of a large pot of greens cooked for hours with ham hocks and / or bacon. While these can be delicious, the long cooking time diminishes some of the natural nutritional value found in collards (not to mention being tough to accomplish on a busy weeknight!). This recipe offers an alternative that increases both speed and nutritional value while maintaining the depth of flavor we all want in our collard greens. Stack the collard greens on top of each other, roll them up, and slice the roll into 1/2 inch wide strips. Submerge the greens in a bowl of cold water then transfer to a colander to drain. Once the collard greens have drained for a few minutes, lay them out on paper towels and dry completely. In a large sauté pan, slowly sweat the garlic in the butter over low to medium-low heat. When the garlic is very aromatic, add the onions. Season to taste with salt and pepper, and sweat for 15 minutes or until translucent and soft but not brown. Raise the heat to medium, add the collard greens and cook, stirring occasionally, for 7-10 minutes, or until the start to soften. Stir in the molasses and cider vinegar and continue cooking for 10 more minutes, or until the collards are tender but still have some chew. Adjust seasoning with more kosher salt or pepper, as needed, and serve. Towards the end of the fall season beans and greens can sometimes have a more fibrous texture as the plants respond to the change in weather. Comfort-food cooking methods that have more liquid and a longer cooking time are great for late-season vegetables like these. It may not be trendy to boil vegetables, but some of the traditional methods of braising or simmering greens and beans come from centuries of eating seasonally and finding ways to enjoy everything the crops have to offer. Braising or boiling does not have to be bland. If you are looking for the right spice blend to give some kick to your late season greens and beans, the ladies at Seasonest in Atlanta have developed a line of seasoning blends made from fresh, organic, non-GMO, gluten-free ingredients. The Soul Food blend was perfected by their father who wanted more of the traditional flavors without the additives, preservatives, and sodium commonly found in seasoning blends. Their line of all-natural seasoning and spice blends are available at many Whole Foods and Fresh Market locations in Georgia and South Carolina, as well as the Chattanooga Market, or online through the Seasonest website. Trim the long beans to your desired length, then set aside. Cut the bacon into 1 inch pieces then fry it in a heavy bottomed braising skillet or saucepan large enough to hold the volume of the beans. When the bacon is cooked, drain off any excess fat (but leave enough for sauteing the beans). Then add the beans and seasoning and saute for a few minutes. Add the water and cover the pan with a lid. Let the liquid come to a boil, then reduce heat and simmer until the beans are as tender as you like them. Add more seasoning and salt to taste, then serve with pickled banana peppers and a soft boiled egg.